Win a $20 Amazon Card - Let Us Celebrate NOR on YouTube! Night Owl Reviews is giving away a $20 Amazon Card to celebrate doing YouTube videos again. To enter just subscribe to our YouTube page for 1 entry. You can get additional entries for watching our videos, submitting a video of your own and more. 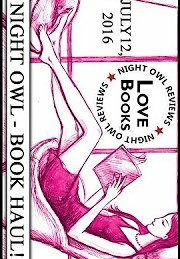 We hope you enjoy getting a peek into Night Owl Reviews!